Expiring Coupons 8/19-8/25/13 | A Savings WOW! Do you want to make sure you use up some of your coupons before they expire? Do you want to clean out your stash of coupons of expiring ones? 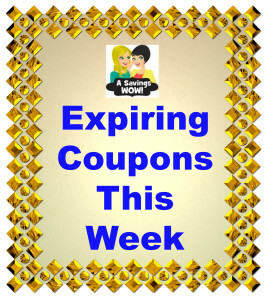 Here are the coupons that will be expiring this week, courtesy of Penny Pinchin’ Mom.